Treasure Chest - a voice of New Life Church in West Linn, Oregon: Congratulations! 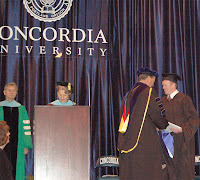 Matt Z. got his MBA Saturday. Congratulations! Our expectations are high now!